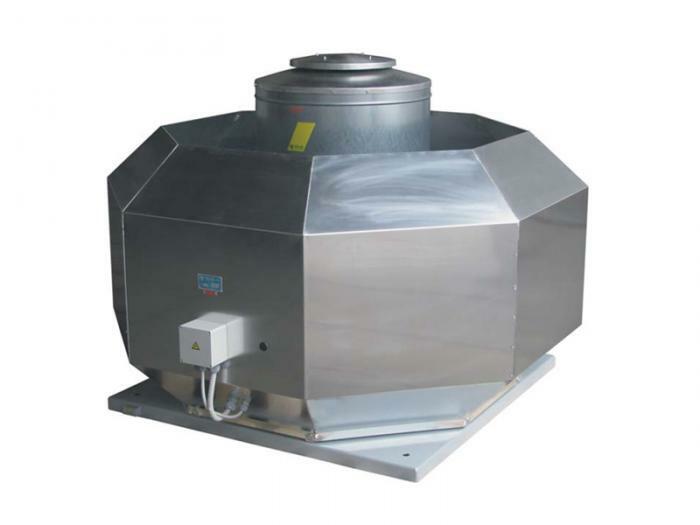 Explosion-proof vertical discharge roof exhaust fan. Suitable for industrial kitchens and exhausting flammable or explosive gases. Suitable for standard all kitchen applications. Exhausting flammable or explosive gases. Hazardous Zone-0: Cannot be used. Hazardous Zone-1: Ex-II 2G c II-B T4. Hazardous Zone-2: Ex-II 3G c II-B T4.